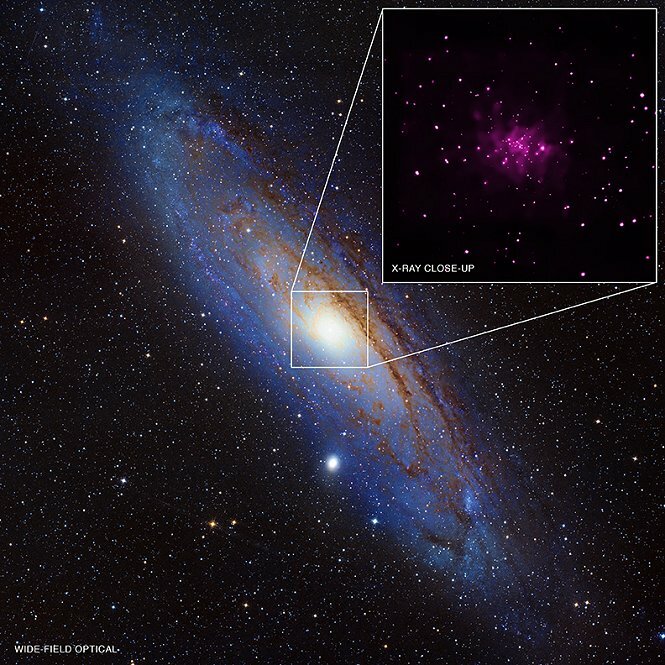 NASA’s Chandra observatory has with a recent observation, turned up several more black holes, than previously known, near the center of our closest galactical neighbor Andromeda. This survey has raised the number of known black holes there from 9 to 35. At any rate, I love to observe globular clusters, and galaxies when I’m cruising our galaxy on a moonless night, with my small yard cannon, a 12.5″ Newtonian telescope. Planets are fun too. Oh and planetary nebula’s, and double stars, and catching a stray meteor when I’m out there looking up, and supernova remnants, and open clusters, and stellar nursery’s, and yeah…I’m a geek. This entry was tagged Andromeda Galaxy, Astronomy, Black Holes, Globular Clusters, Science. Bookmark the permalink. ← Oh, I want One!